Book the best excursions, tours and activities in Ibiza online on sunbonoo and enjoy unforgettable holidays. Excursions and activities for your Ibiza holidays - it is recommendet to book in advance to avoid that the most popular and best trips are already sold out when you arrive at you holiday destination. Additionally, you will safe a lot of money by bookin in advance online, as many trips are cheaper online on sunbonoo than locally. On holiday people often spend more money than expected. That will not happen with sunbonoo. When paying by credit card you are also well insured. Holiday anticipation is half the fun! Choose from over 200 trips to Ibiza relaxed at home, for adults and children, for individualists and people, who like to be active in holidays. Ibiza is an island that offers a lot of variety. All important information such as pick-up times, pick-up locations, duration of the trip etc. you will automatically receive by email directly after booking. Tickets for trips to Ibiza are also perfect as a gift on special occasions of your loved one. Tours Ibiza? Since everyone immediately thinks of partying and nightlife. However, the island offers much more than that and is premium hot spot for millions of tourists every year. Ibiza has its own culture, which is also being recognized by the celebs, who spend their vacation more often on the Balearic island. The landscape of Ibiza is very similar to its neighboring islands, so you can also find many beautiful bays and cliffs which are often accessible only by boat. It therefore makes sense to rent a boat without a license in Ibiza and enjoy a day on the turquoise blue water. Not infrequently anchoring, without knowing it, next to the yacht of an international personality. There are a lot of water sports activities Ibiza, that tourists may not miss. However, the island is modern and offers the popular, but already very famous jet skiing Ibiza also rides Jetboat Ibiza, which exceeds the velocity of the jet skis many times. This is probably not for tourists, who are afraid of adrenaline. However, they can alternatively attend classical, repeatedly taking place on the day speedboat tours. Who has not experienced the adventure of the Bladefish Seajet, this should definitely try to Ibiza. It offer here almost ideal conditions and you save yourself time consuming application of a diving equipment. Are there any quiet tours Ibiza? Who wants to spend a boring holidays on this island, should visit other holiday destinations. Seabob riding in Ibiza is now very famous water sports activity. There are indeed no public tours, but renting a Seabobs is very easy. Rushing through the sea and feel like a dolphin, this is the motto for this water sports activity. An adventure of a lifetime. Parasailing and discovering Ibiza from about 200 meters above the sea. Here you will be pulled behind a boat with a parachute and enjoy breathtaking views of the island. Take-off and landing are made from a speed boat. If you´d like it rather quiet, you can join one of the many boat trips in Ibiza. Also for culture lovers Ibiza offers great tours. The island has many caves and some of them are open to the public, e.g. the cave "Cova de can Marsa" in the north of Ibiza. There are guided tours with interesting background information several times a day. Very worthwhile! At least, you should also take part at least at one of the several party tours and dive into the nightlife. Many clubs engage internationally known DJs. Or how about a party boat trip? 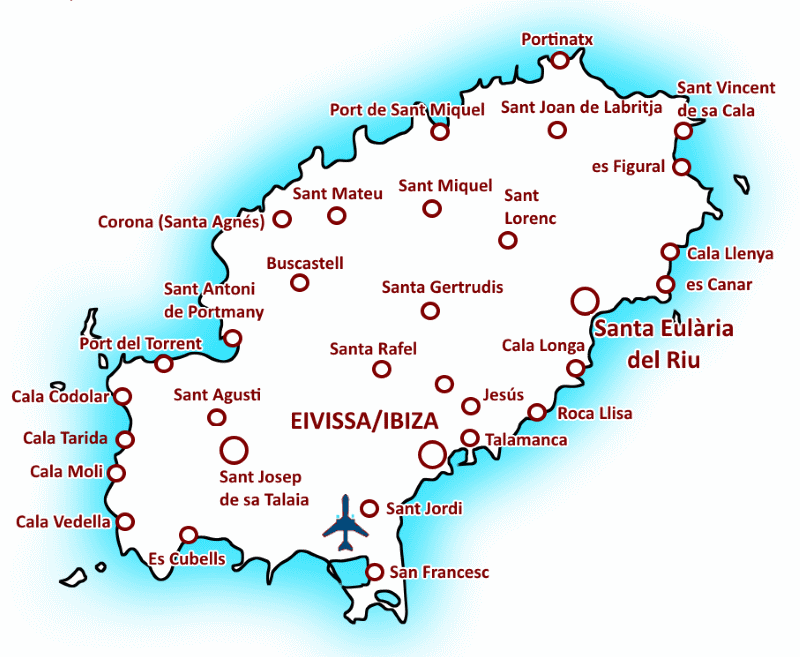 The best excursions and tours in Ibiza can be booked by any fan of this Balearic Island on sunbonoo online before travelling. By booking a fixed reservation of places is automatically be done. The team of sunbonoo looking forward to your holiday in Ibiza!